The Clock Tower was built in the classic Palladian style of Venetian architect Andrew Palladio, which was a favourite of The Prince. It began keeping time for the garrison on October 20, 1803. It's mechanisms are wound by Citadel employees twice a week, but for some reason the clock seems to chime on the half-hour whenever I have been in the vicinity. 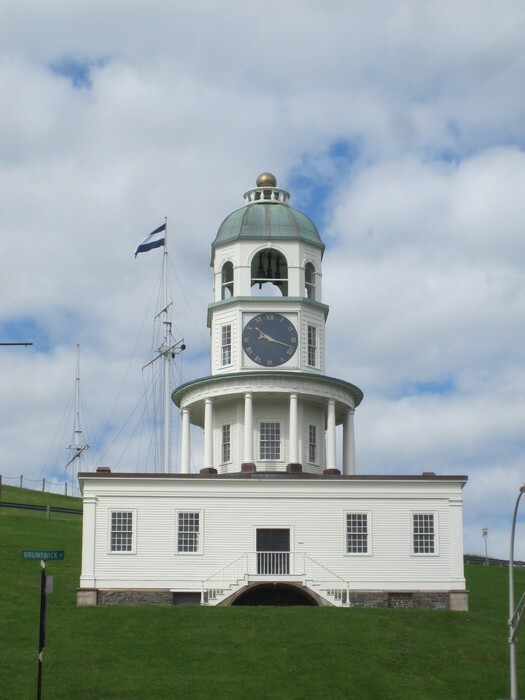 The Clock Tower was the inspiration for the character "Chimney" in the wonderful children's television program Theodore Tugboat.